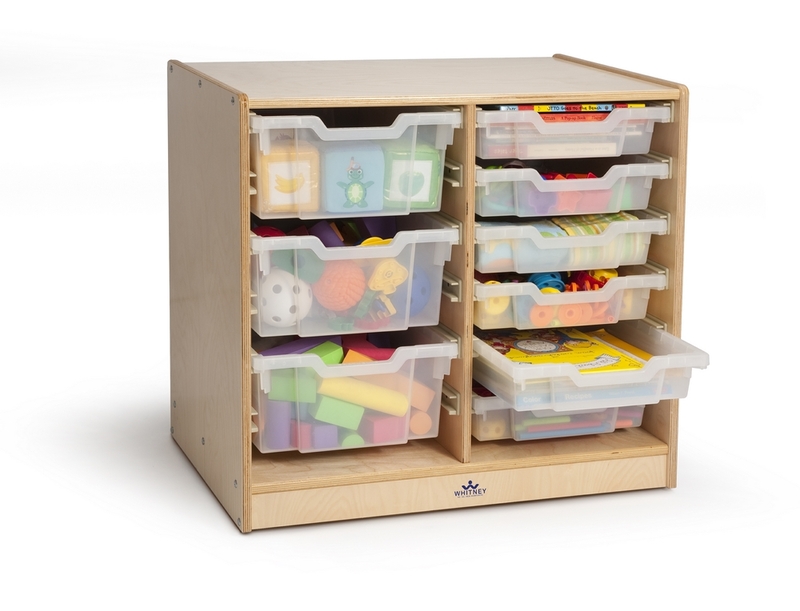 Mobile unit makes storage a snap! 9 clear heavy duty Gratnell trays easily slide in and out. 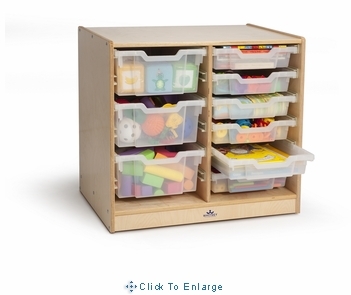 Constructed in beautiful, durable birch laminate in natural UV finish to withstand rigorous use by children. GreenGuard certified. Made in the USA. Lifetime Warranty. 17.5" Deep x 27" Wide x 24.5" Tall. 65 lbs.